A day beacon is a beacon or buoy without lights. This is a lateral beacon or lateral mark: you keep it to your side. It's not a buoy because it's on land. But the equivalent would be a green buoy. For colloquial (if there are any) names, I cannot help you as I'm not a native speaker. If it follows the use over here (Holland) it's just called a beacon by most people. But other possibilities could be: a post or a mark, or as you said: a marker. Beats me. There is another matching one right up against the wall slightly to the left of this view. 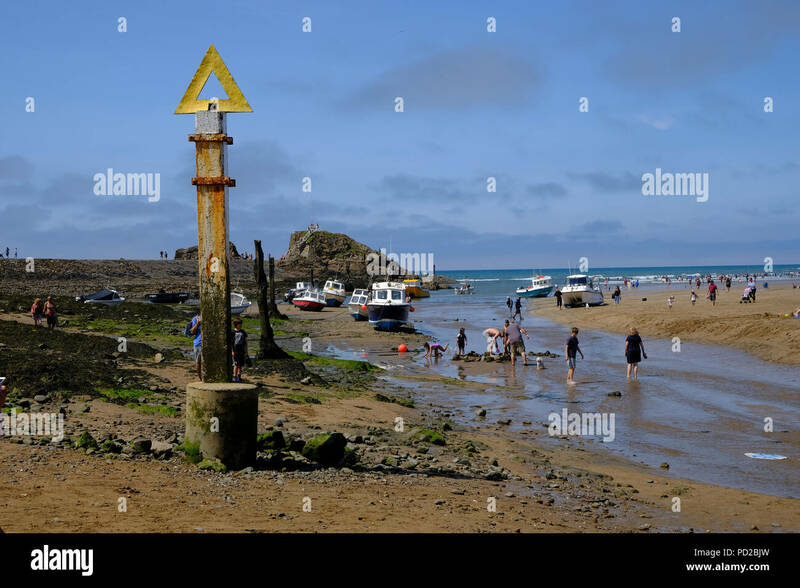 Posts ashore with yellow top marks, often indicate the entry point for a cable or pipeline.